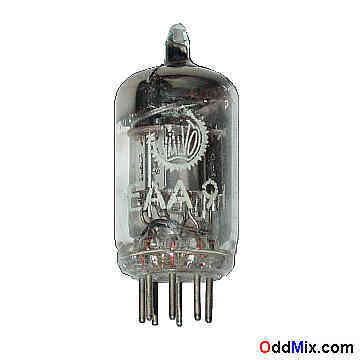 This is a genuine, rare, vintage, historical, European type EAA91 High-perveance Twin Diode Signal Rectifier electron tube. This tube is made for AM, FM, RF signal modulation, demodulation applications. Excellent collectible and for antique radio or television restoration projects, experimentation or to set up a private vacuum tube museum. It is a NOS tube [New Old Stock], in good condition.